Natalie Coughlin (born 23 August 1982 in Vallejo, California), is an American athlete in swimming. She won six medals in the 2008 Beijing Olympics and a Bronze Medal in the 2012 London Olympics. 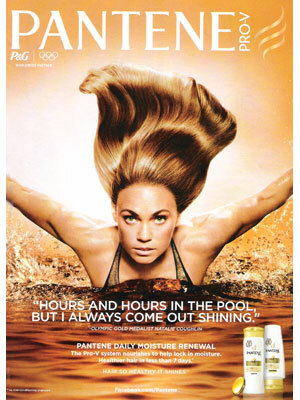 Natalie is the face of Pantene haircare (summer 2012).